Declining Churches in Canada: How Can We Respond? 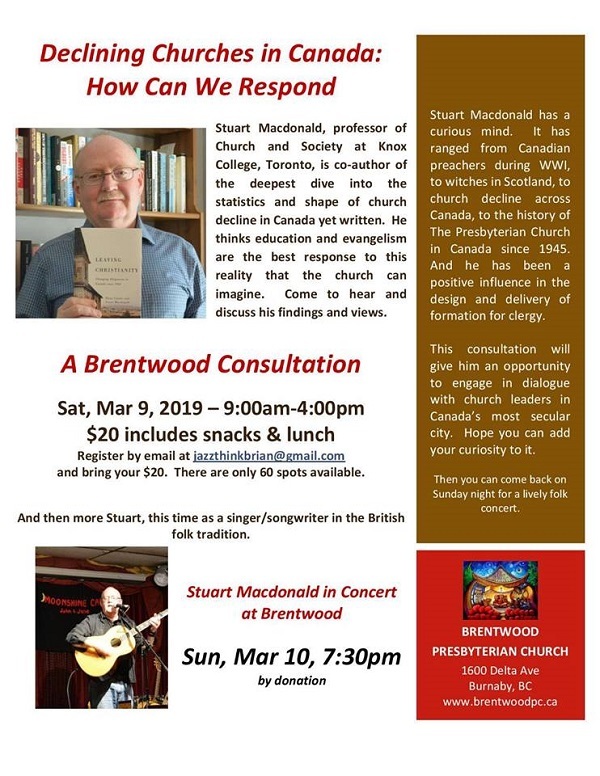 Input from Stuart, conversations among participants, capturing the wisdom that arises in the room – this will be an engaging and energizing consultation that has the potential to change the ways we do church in Canada’s most secular urban region. We’d love to have your voice in the mix. Bring along your friends. We’ve only got 60 seats available, so email me now at jazzthinkbrian@gmail.com to get on the list. We’re asking $20 at the door to cover lunch and stuff.